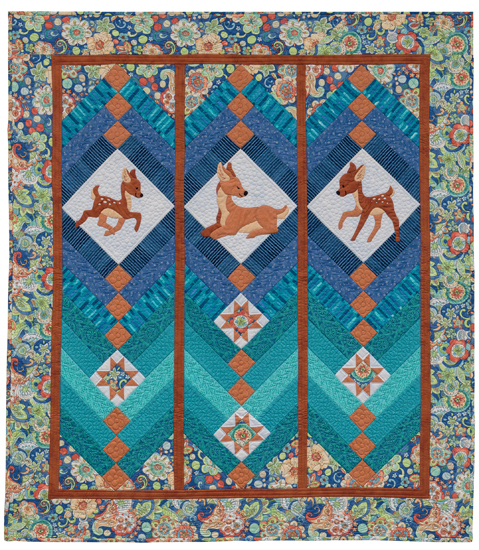 Bring your quilts to life with animal appliques that frisk and frolic on backgrounds of vibrant patchwork. 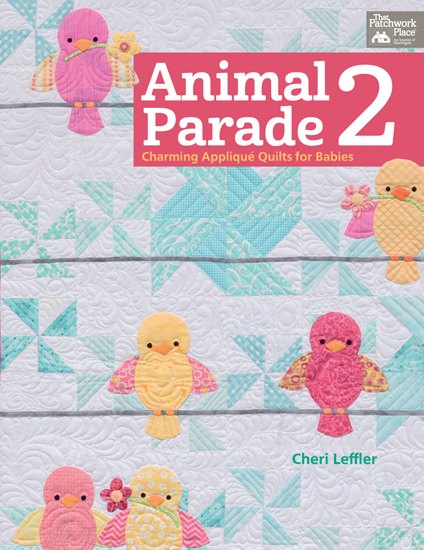 Quilters everywhere fell in love with the adorable patterns in Cheri Leffler's Animal Parade. 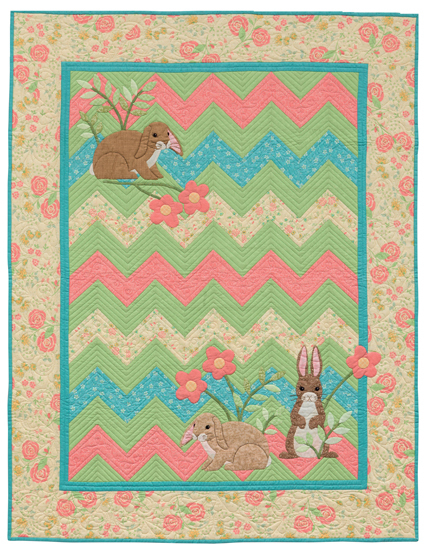 Now she's back with even more delightful designs for the young--and young at heart. Do you love cute animals? Do you like to do applique? 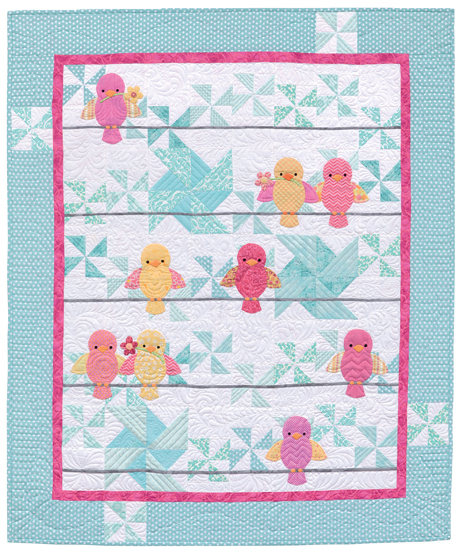 Do you like to do patchwork? Then this is a must have book for you. 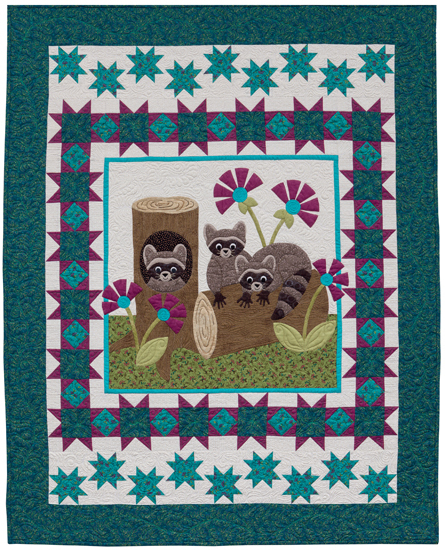 There are 10 adorable animals on 10 different quilts. 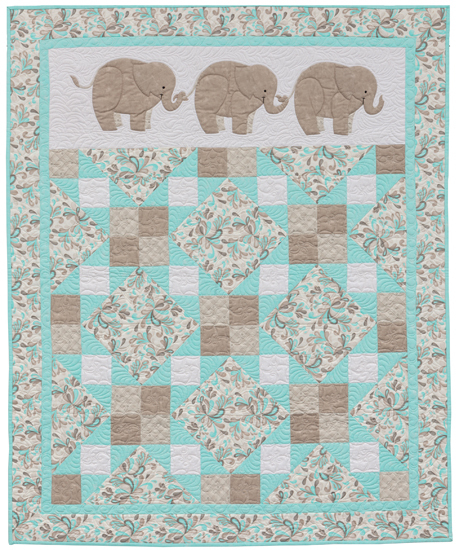 Each pattern combines patchwork with appliques. 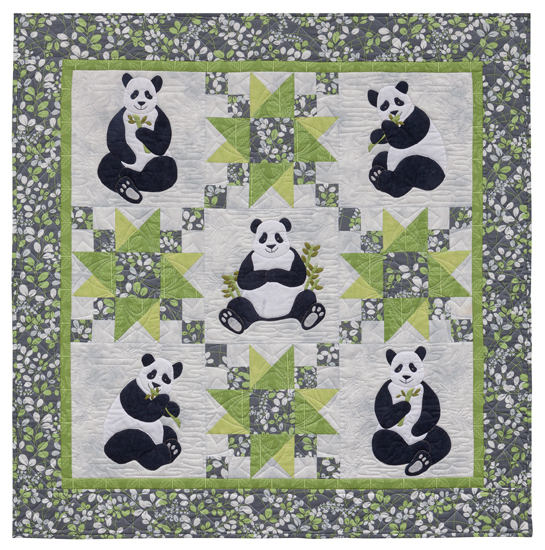 There is a color photo of the project with a short blurb about the quilt. The material and cutting lists are clearly written and any templates needed are provided at full size. No need to run out to the copier store. 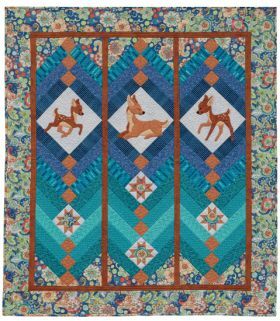 There is a four-page section on applique techniques and embroidery stitches. 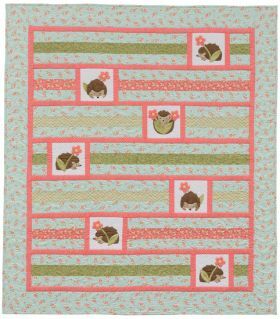 Each pattern has graphics to help you make sure you are sewing what the pattern says. 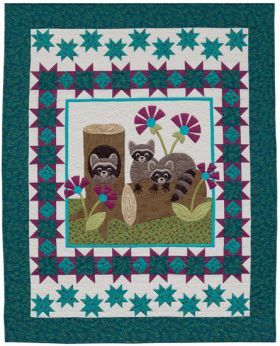 There are also graphics of the assembly of the quilt (exploded) so you can be sure the final quilt is put together correctly. 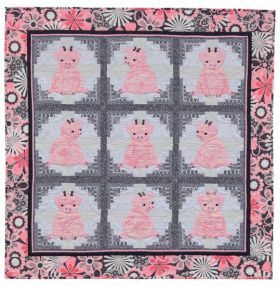 I love these patterns of the cute animals. They are, most likely, made for children but I just might be a child that never grew up. 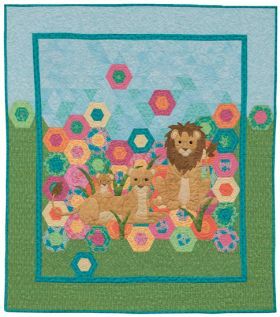 "Animal Parade 2 - Charming Applique' Quilts for Babies" by Cheri Leffler has 10 adorable projects for children and, best of all for me, they all have gorgeous applique motifs. 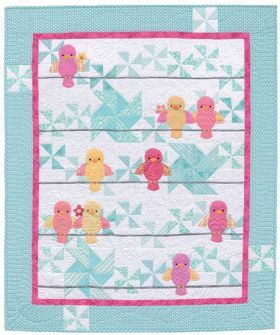 The birds on the cover add whimsy and cheer to the quilt, don't you think? 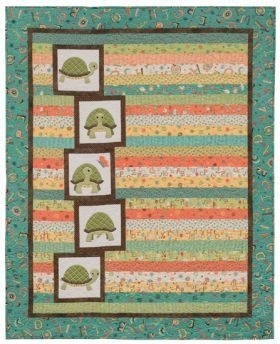 Cheri Leffler is such a talented and creative designer, as well as a well-known quilting instructor. I was hooked on her designs for children after I saw her first Animal Parade book in 2014. Her second book is even more amazing. 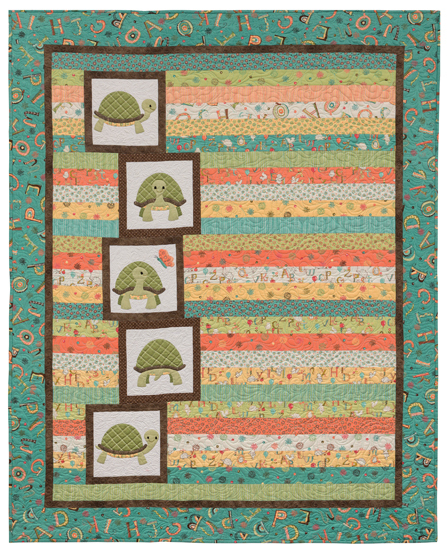 Cheri puts her magical spin on traditional blocks, combining them in unique and unexpected ways. Cuteness beyond pink and blue! 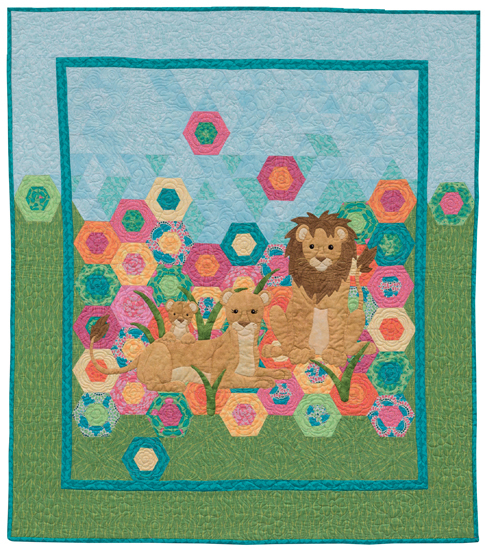 Cheri's applique' shapes would look great on accessories, too, adorning pillows, wall hangings, baskets... 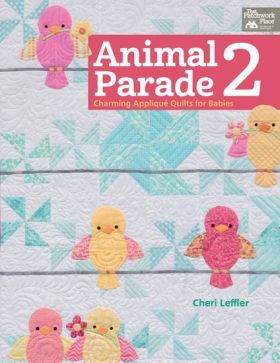 If you are new to applique', or always wanted to try it but weren't sure which method to use, Animal Parade 2 provides detailed instructions for needle turn and fusible web applique', along with the embroidery stitches used on Cheri's projects. A must have! 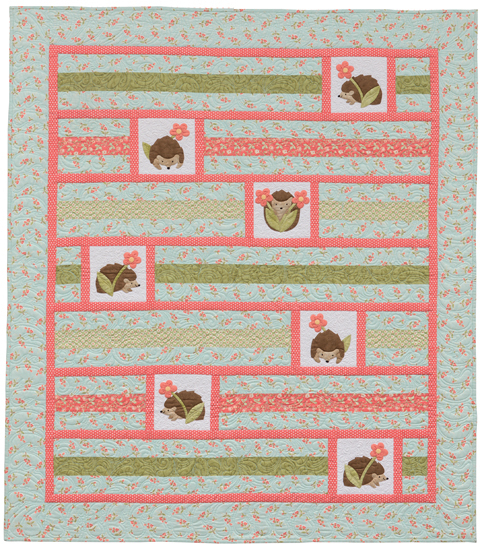 Diez quilts para bebé que combinan sencillos blocks de patchwork con pequeños animales trabajados en appliqué. Me gusta que el appliqué, en la mayoría de los proyectos, se pueda trabajar por separado para poder llevarlo con uno si se está lejos de la máquina de coser para después armar el top completo. El libro incluye instrucciones tanto para el appliqué tradicional, es decir, el volteado con hilo y aguja poco a poco alrededor del contorno de cada pieza, y de igual forma indica la manera de utilizar el material termofusible y darle terminado ya sea con puntada de festón o con un zigzag delicado. Al revisar ya cada proyecto con detenimiento puedo francamente decir que quien tenga conocimientos básicos de patchwork tradicional y que lo más seguro estará familiarizado con lo que es el appliqué sencillo, con toda facilidad podrá confeccionar la gran mayoría de los proyectos sintiendo gran satisfacción con los resultados. 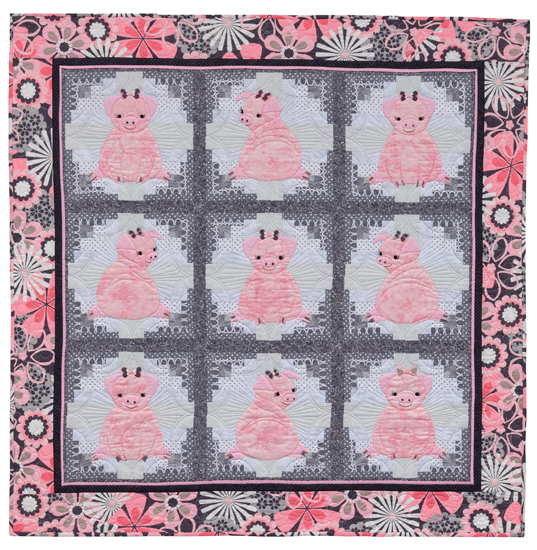 Translation: Ten baby quilts that combine simple blocks of patchwork with small animals worked in appliqué. I like that the appliqué, in most projects, you can work independently in order to take one if you are away from the sewing machine and then assemble the entire top. 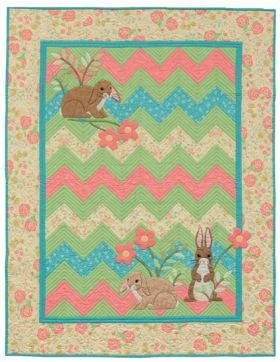 The book includes instructions for both traditional appliqué, ie, the flipped with thread and needle slowly around the edge of each piece, and likewise shows how to use the fusible material and finish with either satin stitch or a delicate zigzag. In reviewing and every project carefully I can honestly say that anyone with basic knowledge of traditional patchwork and the safest will be familiar with what the single appliqué, with ease can make the vast majority of projects feeling great satisfaction with the results. Please enter me for animal parade book. 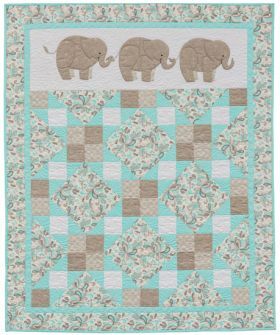 I would love to make a quilt for my new grand baby that is coming in April.